B2B Solutions specializes in PrestaShop and now in WooCommerce. Both of these systems allow you, as a small business owner, to setup and maintain your online store. Both of these systems are available for free*, and our technicians are able to setup a store for you with your own domain name (or subdomain). Our E-Commerce technicians are also available to maintain the stores for you. 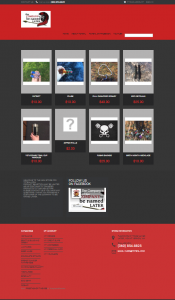 We currently have a WooCommerce store available to demo at http://demo1.b2bsolutions.biz. *There are no additional software fees for PrestaShop or WooCommerce. Setup fees and domain name fees do apply. Additional fees such as premium templates, and premium addons are available for additional costs.